Hardwicke was born in Lye, Worcestershire, to Dr Edwin Webster Hardwicke and his wife, Jessie (née Masterson). He attended Bridgnorth Grammar School in Shropshire, after which he intended to train as a doctor but failed to pass the necessary examinations. He turned to the theatre and trained at the Royal Academy of Dramatic Art (RADA). In 1928, he married the English actress Helena Pickard. They divorced in 1948. Their son was actor Edward Hardwicke. His second marriage, which also produced one child and ended in divorce, was to Mary Scott, from 1950 to 1961. Hardwicke made his first appearance on stage at the Lyceum Theatre, London, in 1912 during the run of Frederick Melville's melodrama The Monk and the Woman, when he took over the part of Brother John. During that year he was at Her Majesty's Theatre understudying, and subsequently appeared at the Garrick Theatre in Charles Klein's play Find the Woman, and Trust the People. In 1913 he joined Benson's Company and toured in the provinces, South Africa and Rhodesia. During 1914 he toured with Miss Darragh (Letitia Marion Dallas, d. 1917) in Laurence Irving's play The Unwritten Law, and he appeared at the Old Vic in 1914 as Malcolm in Macbeth, Tranio in The Taming of the Shrew, and the gravedigger in Hamlet, among other roles. World War I intervened in his career, and from 1914 to 1921 he served as an officer in the Judge Advocate's branch of the British Army in France. He was one of the last members of the British Expeditionary Force to leave France. Following his discharge, in January 1922 he joined the Birmingham Repertory Company, playing a range of parts from the drooping young lover Faulkland in The Rivals to the roistering Sir Toby Belch in Twelfth Night. He played many classical roles on stage, appearing at London's top theatres, making his name on the stage performing works by George Bernard Shaw, who said that Hardwicke was his fifth favourite actor after the four Marx Brothers. As one of the leading Shavian actors of his generation, Hardwicke starred in such works as Caesar and Cleopatra, Pygmalion, The Apple Cart, Candida, Too True to Be Good, and Don Juan in Hell, making such an impression that at age 41 he became the youngest actor to be knighted (this occurred in the 1934 New Year's Honours; Laurence Olivier subsequently took the record in 1947 when he was knighted at the age of 40). Other stage successes included The Amazing Dr. Clitterhouse, Antigone and A Majority of One, winning a Tony Award nomination for his performance as a Japanese diplomat. In 1928, while appearing with Edith Day, Paul Robeson and Alberta Hunter in the London production of "Showboat", he married actress Helena Pickard. In December 1935, Hardwicke was elected Rede Lecturer to Cambridge University for 1936, he took as his subject "The Drama Tomorrow". In the late 1930s, he moved to the US, initially for film work (see below). In the early 1940s he continued his stage career, touring and in New York. In 1944 Hardwicke returned to Britain, again touring, and reappeared on the London stage, at the Westminster Theatre, on 29 March 1945, as Richard Varwell in a revival of Eden and Adelaide Phillpotts' comedy, Yellow Sands, and subsequently toured in this on the continent. He returned to America late in 1945 and appeared with Ethel Barrymore in December in a revival of Shaw's Pygmalion, and continued on the New York stage the following year. In 1946, he starred opposite Katharine Cornell as King Creon in her production of Jean Anouilh's adaptation of the Greek tragedy Antigone. In 1948 he joined the Old Vic Company at the New Theatre to play Sir Toby Belch, Doctor Faustus, and Gaev in The Cherry Orchard, but, according to the critic and biographer W. A. Darlington, "it was about this time that he confessed to a friend that he was finding the competition in London too hot for him", and he moved permanently to the US. In 1951–52, he appeared on Broadway in Shaw's Don Juan in Hell with Agnes Moorehead, Charles Boyer and Charles Laughton. Hardwicke's first appearance in a British film was in 1931, and from the late 1930s he was in great demand in Hollywood. He played David Livingstone opposite Spencer Tracy's Henry Morton Stanley in Stanley and Livingstone in 1939, and also played Judge Jean Frollo in The Hunchback of Notre Dame that same year. In 1940 he played Mr Jones in a screen version of Joseph Conrad's novel Victory. He starred in The Ghost of Frankenstein (1942), as the unfortunate Ludwig von Frankenstein, alongside Lon Chaney Jr. and Bela Lugosi. Hardwicke played in such films as Les Misérables (1935), King Solomon's Mines (1937), The Keys of the Kingdom (1944), The Winslow Boy (1948), Alfred Hitchcock's Rope (1948), and Olivier's Richard III (1955). He was also featured as King Arthur in the comedy/musical, A Connecticut Yankee in King Arthur's Court (1949), singing Busy Doing Nothing in a trio with Bing Crosby and William Bendix, and as the Pharaoh Seti I in Cecil B. DeMille's 1956 film The Ten Commandments. He appeared in a 1956 episode of Alfred Hitchcock Presents entitled Wet Saturday in which he portrayed Mr. Princey, an aristocratic gentleman who tries to cover up a murder to avoid public scandal. On 6 March 1958, he guest-starred on NBC's country variety series, The Ford Show, starring Tennessee Ernie Ford. During the 1961–62 television season, Hardwicke starred as Professor Crayton in Gertrude Berg's sitcom Mrs. G. Goes to College, which ran for twenty-six weeks on CBS. The storyline had Berg attending college as a 62-year-old widowed freshman studying under Hardwicke, with whom she had previously acted. Earlier, Hardwicke had guest-starred on the Howard Duff and Ida Lupino CBS sitcom Mr. Adams and Eve. He starred in The Twilight Zone episode Uncle Simon that first aired 15 November 1963. His final acting role was in The Outer Limits in the episode "The Forms of Things Unknown". 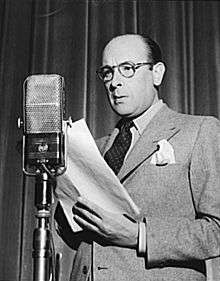 Hardwicke played the title role in a short-lived revival of the Bulldog Drummond radio programme on the Mutual Broadcasting System. It ran 3 January 1954 – 28 March 1954. Hardwicke died 6 August 1964 at the age of 71 in New York from cancer, and his ashes were scattered at Golders Green Crematorium, London. Hardwicke left two volumes of memoirs: Let's Pretend: Recollections and Reflections of a Lucky Actor, 1932 and A Victorian in Orbit: as told to James Brough, 1962. He is commemorated by a sculpture by Tim Tolkien at Lye, commissioned by Dudley Metropolitan Borough Council. The memorial takes the form of a giant filmstrip, the illuminated cut metal panels illustrating scenes from some of Hardwicke's best-known roles, which include The Hunchback of Notre Dame, Things to Come, and The Ghost of Frankenstein. It was unveiled in November 2005 and is located at Lye Cross where he lived as a child. Thorns School and Community College in neighbouring Quarry Bank has renamed its drama theatre in his honour, as the Hardwicke Theatre. Sir Cedric Hardwicke has a star on the Hollywood Walk of Fame. "I can't act. I have never acted. And I shall never act. What I can do is suspend my audience's power of judgement till I've finished." "I believe that God felt sorry for actors, so he created Hollywood to give them a place in the sun and a swimming pool. The price they had to pay was to surrender their talent." "Actors and burglars work better at night." 1 2 "Deaths". Issue 49962; col D. The Times. 22 September 1944. p. 7. ↑ Blum, Daniel (1966). Daniel Blum's Screen World. Biblo-Moser. p. 220. ISBN 0819603066. ↑ "The Tennessee Ernie Ford Show". tv.com. Retrieved 25 November 2010. ↑ Dunning, John. (1998). On the Air: The Encyclopedia of Old-Time Radio. Oxford University Press. ISBN 978-0-19-507678-3. P. 123. ↑ "Golders Green Crematorium", Spiritus Temporis, accessed 20 March 2013. ↑ Bev, Holder. "Actor Edward Hardwicke's legacy will live on in theatre". Stourbridge News (Newsquest (Midlands South) Ltd). Retrieved 21 July 2012. 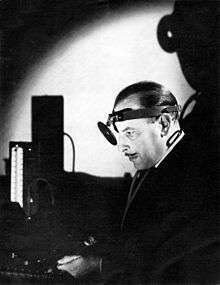 Wikimedia Commons has media related to Cedric Hardwicke.